As connected as we are, reliable and affordable internet is still a luxury in the far reaches. [kohleick’s] country home is not just remote; with temperatures dropping to -30C in the winter, it’s practically Arctic. His solution for controlling the thermostat from afar was to take advantage of the GSM network and implement a SMS-based heater controller. The unit typically operates in “antifreeze mode,” but sending a simple text message prior to visiting causes the heater to kick it up to a more comfortable setting for your arrival. Daily logs report the system’s status, and an alert will trigger when temperatures fall below a set limit, thus indicating potential faults with the heater. The build uses a Freeduino paired with an external GSM modem for communication and an LCD to display current status and menus, which users access via three buttons on the side of the picture frame. [kohleick] connected two temperature sensors: one directly to the Freeduino’s shield and a second outside the house. After the temperature sensors detect deviance from the set point, or upon SMS instruction, the Freeduino will crank up the heat through a 5V relay attached to the home’s boiler. Head over to the Instructables page linked above for a bill of materials, schematics, and the code. The Siemens GSM modem in this build is nothing to worry about, but be careful if you try to reproduce this project with an Arduino GSM shield, or your house might really heat up. Thingiverse – still the best place on the Internet to find cool 3D models to print out – has gone all Web 3.0 with their new Dashboard feature. Basically, you can think of this as Thingiverse’s version of Twitter. The dashboard allows you to see the latest updates from people you like, follow people, categories, and tags, and check out your all-important ‘who’s following me’ stats. Yes, to the Hackaday crowd it may sound a little lame, but it’s a great way to winnow the (awesome) wheat from the (slightly less awesome) chaff. Remember when we jumped on the Occupy Thingiverse bandwagon? Well, there were questions about the Thingiverse Terms of Service and confusion that Makerbot actually owns everything uploaded to Thingiverse. That’s completely wrong according to Makerbot’s lawyer [Rich McCarthy]. The whole issue dealt with “Moral Rights or attribution” – a French legal doctrine that isn’t part of US law (or the law of any English-derived legal system as far as we can tell). Yeah, we goofed. 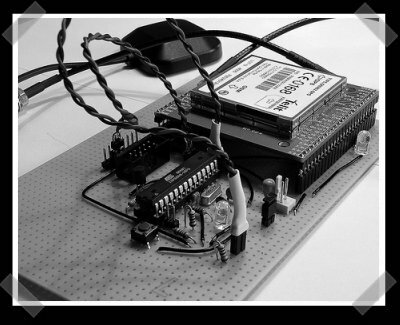 [Meir] sent in a cellular library for microcontroller projects that allows for simple sending and receiving of SMS messages. Yes, it’s been done before, but [Meir] hid all the hardware interaction with the cellular shield – a good design practice – to make the code nice and tidy. Just in time for Thanksgiving, [Lou] shows us the fastest way to make mashed potatoes: an oxygen and propane powered potato gun. The build uses oxy and propane tanks you can pick up for a few bucks at any hardware store, steel pipe for the barrel, a grill igniter, and a few pipe fittings. It’s awesome, and we’ve got to hand it to [Lou] for this one. Now to build one and test it out on our indestructible test dummy. It’s just like the Raspberry Pi! They’re that backordered! Remember the Stellaris Launchpad, the very cool (and very inexpensive) ARM dev board put out by TI? Yeah, they’re shipping now. News of this comes from [Ryan Holtz] at Autodesk after the FedEx guy came knocking a few days ago. The good news is they’re shipping, the bad news is the price increased slightly to $13.